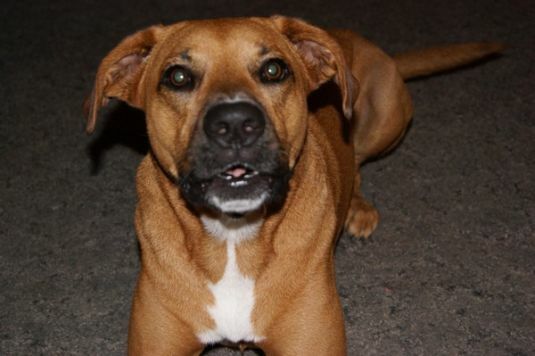 Emma is a boxer/greyhound mix that is full of energy! She doesn't sleep...she RECHARGES! I adopted her from the Tampa Bay Humane Society when she was six months old. What a little spoiled baby she is! I have a boxer mix that I adopted too. I always thought she was part greyhound so I searched for some pictures....My baby is also named Emma and she is identical to your Emma I rescued her from Cape Coral. When she was a puppy about 6 years ago.